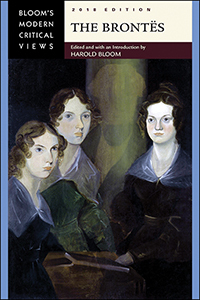 This 2018 edition in the Bloom's Modern Critical Viewsseries gathers together some of the best analyses of the Brontë sisters—Charlotte, Emily, and Anne. Several works of the authors are examined, including the classics Jane Eyre and Wuthering Heights. This title is enhanced by a chronology, bibliography, and notes on the contributors, as well as an introductory essay by noted literary professor Harold Bloom.